SONICA - a sonic architecture exhibition organized by MOTA - Museum of Transitory Art in Ljubljana, Slovenia Sept 27 - Oct 1, 2016. 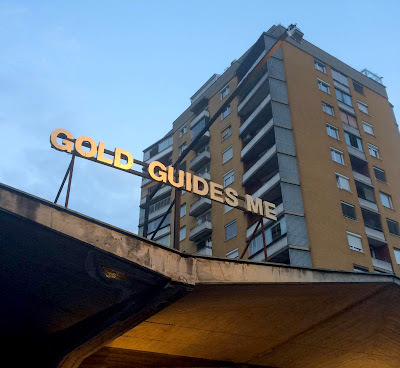 I will be participating in SONICA with a text based site specific installation piece Gold Guides Me, part of my ongoing research project Capitalism in The Public Realm that started in 2014, and was originally commissioned by the Bruges Art and Architecture Trienniale 2015 in Belgium as a center piece of the Trienniale. The installation on the late socialist architectural structure talks about the transformation of the former eastern block into a hybrid form of capitalist utopia merged with a state of nostalgic yearning for the past, and ideologies succumbing to materialism. 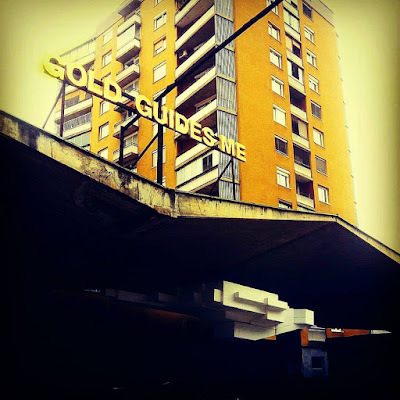 Gold Guides Me is a word play on Boethius's sentence on ethics; Hope Guides Me, from The Consolation of Philosophy. The new MoTA Lab is situated in a glass-concrete construction, which was built in the seventies, as one of the lesser-known off-springs of the architectural style known as structuralism. 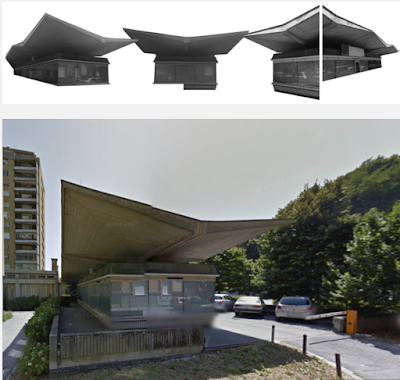 Similar buildings with mushroom or umbrella like roof structures include gas stations on Tivolska road, designed by the architect Edvard Ravnikar (near the railways) and Milan Mihelič.